*PCT Top 100 list of largest pest control companies in U.S.
Inspect-All Services provides high quality termite, pest and wildlife control, as well as home inspection services for real estate transactions in metro Jacksonville, Florida and the surrounding region. 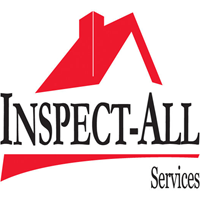 Inspect-All Services has earned numerous awards for its rapid growth and outstanding customer service. With a mindset toward technology, the forward-thinking company consistently delivers results and convenience to its loyal customer base. By living out its core values, Inspect-All Services creates exceptional value for its customers. Michael performed an excellent job inspecting my house for signs of termite infestation. My recommendation is that a phone call ahead of his arrival should have been done to keep me forewarned. I would suggest that a time frame be included. Absolutely impressed made first time buying simple and fast and everyone was very nice and informative throughout the process. Wish I could give more than 5 stars. Very happy with service and specialist. Micheal with Inspect All Pest treated our home for termites and provided a bond giving us the peace of mind that we can now transfer to the next owners. Very punctual, professional and clean. Would recommend to everyone! Michael was professional, courteous, and knowledgeable. He put my mind at ease. Great customer service and attention to any problems. Always prompt, friendly, and most importantly get the job done right. Always professional, friendly, and on time. Thanks Inspect-All. Great, professional service. We are new to the area and looking for an affordable, yet reliable, pest control service to help with pretty much general things (ants, roaches mainly). We had a very friendly technician visit our house and explain the entire process to us. Very pleased customer and look forward to continuing our service. Great job! Very professional service both over the phone and in person. I highly recommend this company. Great service. Great customer service oriented personnel. Would do business again in the future. Inspector was on time very thorough and very neat and kept everything clean. Was very professional and took great pride in all he did. Above and beyond his line of work. Very happy with them and our inspector. Thank you. Inspect-All has been wonderful! We had our home inspection with you guys when looking to buy a home and now have had many services. The last being securing our roof from squirrels. Michael did the job for us. He was outstanding. He went above and beyond to not only make sure it was done right but ensured that it looked good. He really cared that it was done well and to our satisfaction. Every person that has come to our home has been respectful, kind, and professional. Great service, fast and friendly. Very professional. I’m a realtor and recommend Inspect-All services to my clients. Inspect All handled our home inspection before we purchased our first house and did a thorough, detailed, and expedient job! We recently had them install a termite trap system and they did another fantastic job. Our technician was quick, professional and courteous, (right down to wearing shoe covers when entering our home.) A+++.....Highly recommend for any of your needs! I needed a WDO inspection asap and contacted Inspect-All. They responded fast and got my inspection done in a timely manner. Very fast and efficient! I live in Colorado and the inspection took place in Florida. Inspection was in the morning and I received the written report along with pictures by early evening. Made it easy to comprehend what problems existed with the property that I was going to purchase. Follow up inspection was just as quick and efficient making sure all repairs were completed and within code. Inspector prompt and Professional explained process great job. Very polite and professional, worked with my schedule. Timely service and technician professional and treatment effective. The professional that came out was patient,courteous and appeared to know what he was speaking of. This is our first time using Inspect-All Services on a scheduled basis. So far it has been great, I expect that that great service will continue throughout our contract, and as long as it does I will raise my rating from 4 to 5 stars. Inspect all was great, particularly Melissa who went way out of her way to help us out on some last min inspections to ensure that we were able to close on our house on time! Fast, courteous and efficient. Thank you. Good customer service, fair prices. Always very happy with Inspect-All Services! Thank you again! Marty Lunsford did a great job for us. Highly recommend him. Timley professional and courteous service. They came when they said they would on time and looking like a professions and the tech acted like he was walkout into someone's home like a professional should do and didn't poke around. Got the work done and left. Also the person who answered the phone was nice as could be. Everyone I've talked to seemed to worry about the happiness of there customer. Thank you.